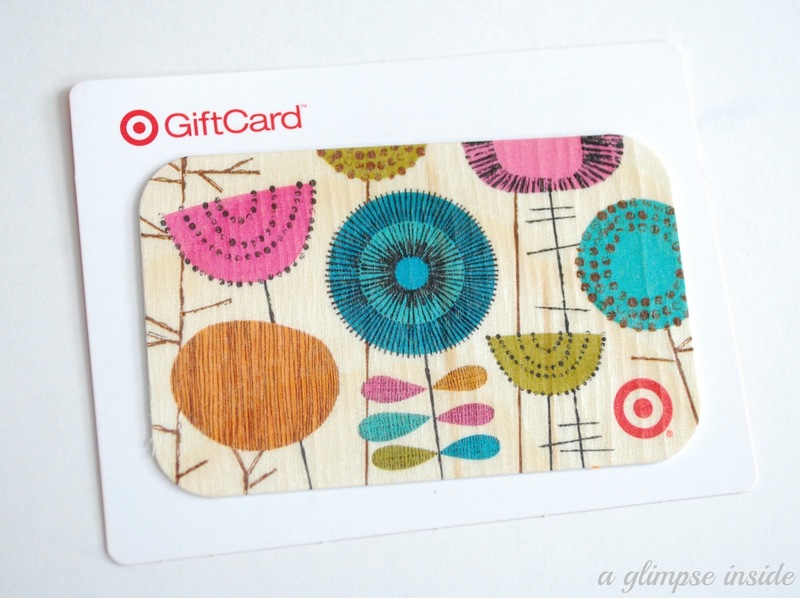 Ready for a little giveaway?! 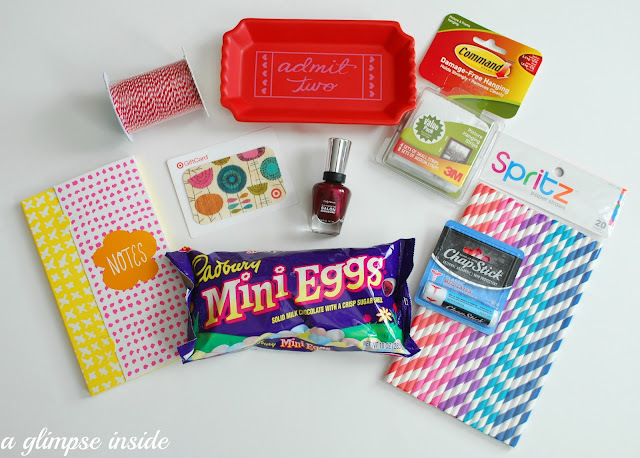 I've teamed up with some other bloggers and we are all giving away some of our favorite items for a little Spring Fun! Would you like a closer look at the items? All these items are inside the basket. 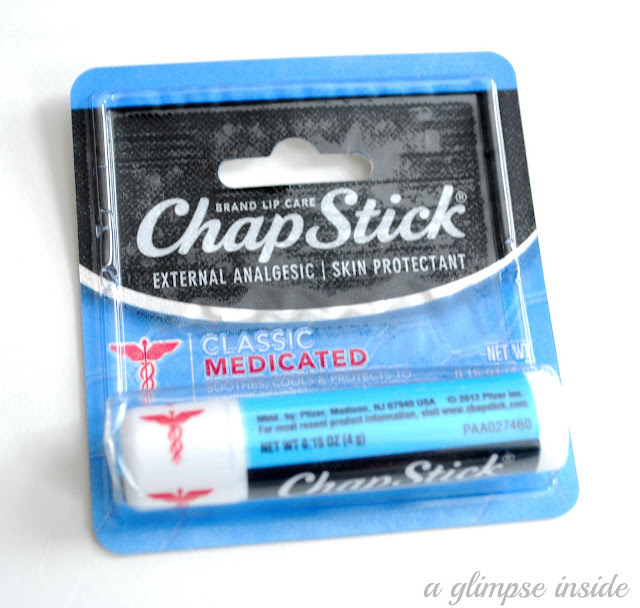 My all time favorite chapstick that I just MAY be addicted too! Can't go anywhere without it! 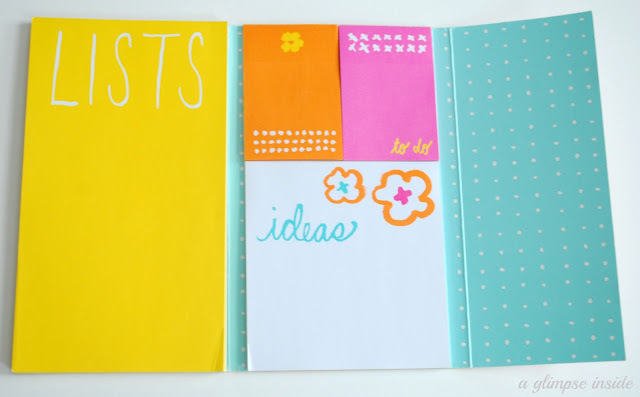 Inside of the notebook to help you stay organized. Here is a little peak at all the other items up for grabs. I love the Baker's Twine! My favorite thing about spring is being able to open our windows and let some fresh air in! I love breaking out the warm clothes and jackets and putting those coats away! I also love the sun and the sound of the birds in the mornings. Such an awesome basket! Gotta love a chance to win some Baker's Twine!! My favorite thing about spring is how green everything is! Once it turns hot here in San Diego, the hills turn brown. Spring makes me feel like everything is fresh! My favorite thing about Spring is definitely the walks I get to take with my kids jumping in the puddles!! Love it!!! That little notebook is so cute! 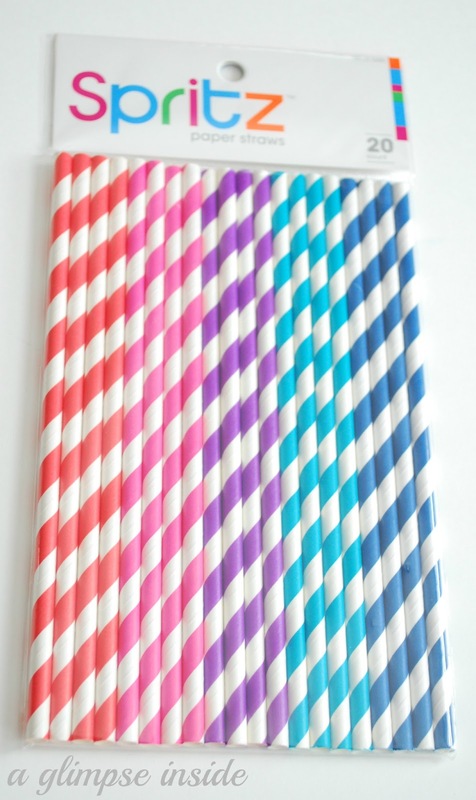 I want the twine and the straws! So cute!!! That is one sweet basket! 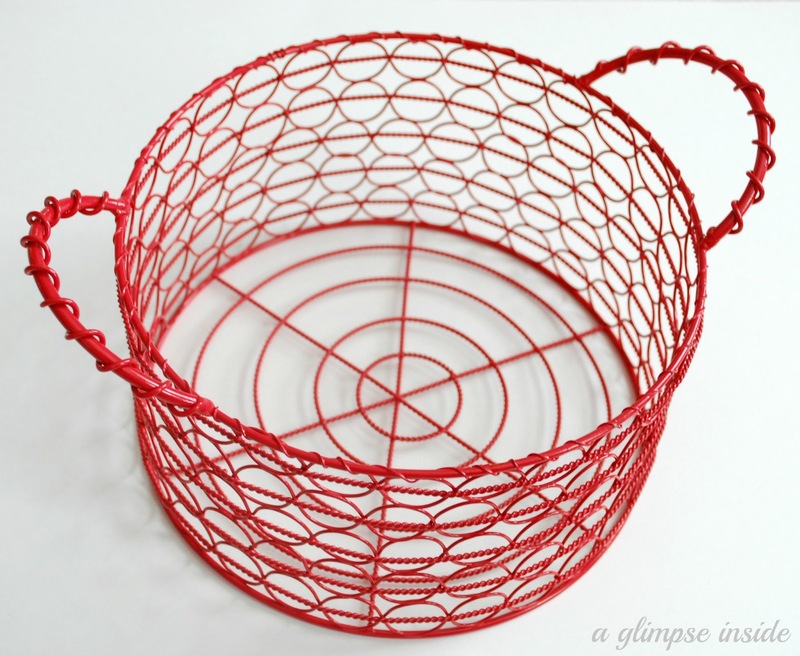 Your basket has so many fab things ... I simply love it, and would be so very lucky to WIN it! I love the sound of running water as the snow melts, the chirping birds, and letting my boys go outside without having to take 20 minutes to get winter gear on everyone. 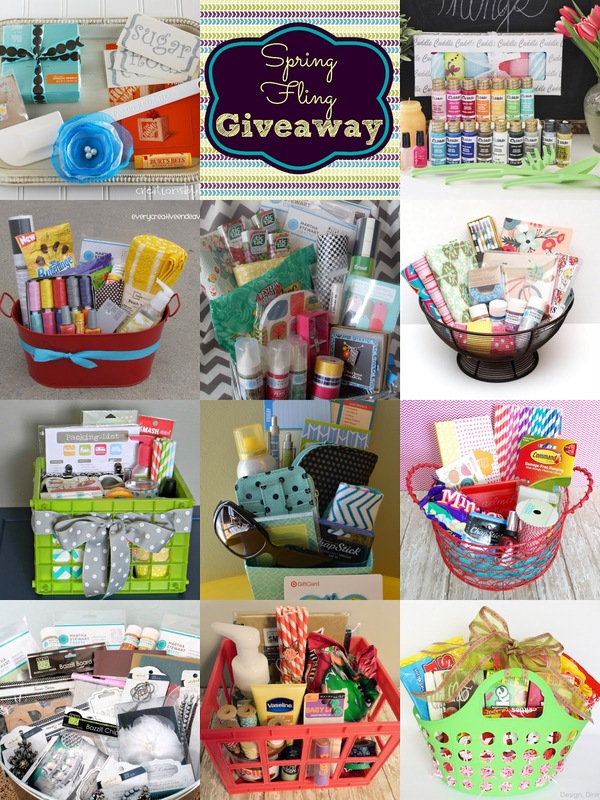 The baskets are such a fun giveaway on all of your blogs! Target is my favorite! Oooh I have been dieing to try those 3M Command Picture Hanging Strips! My favorite thing about Spring is .... My garden coming back to life! My favorite thing about spring is watching the flowers bloom - although sometimes I get allergies. Love your blog! I love the warmer weather and being able to sit outside with a fire in the fire pit on a chilly (but not cold) spring night! 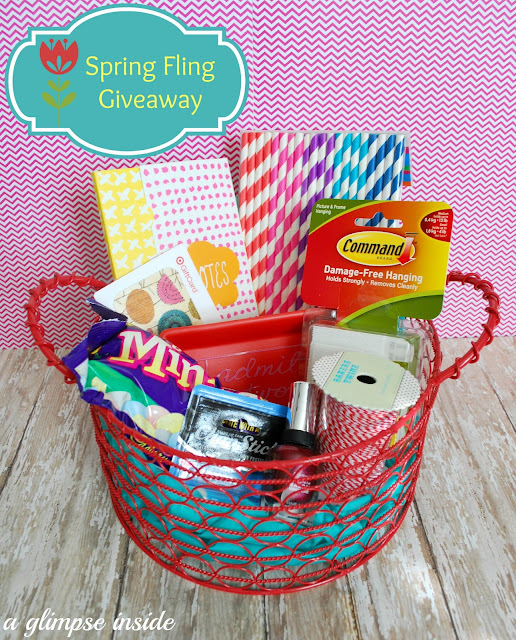 Thanks for the chance to win an adorable basket!!! I love spring because it means warmer weather & my bday! I love that the weather is starting to warm up and all the signs of new life! i love spring because it seems more like the new year to me that new years. it is a time of new beginnings and watching God's creation come to life here in michigan! My favorite flowers, lily of the valley, bloom! I love all the stuff in this basket! 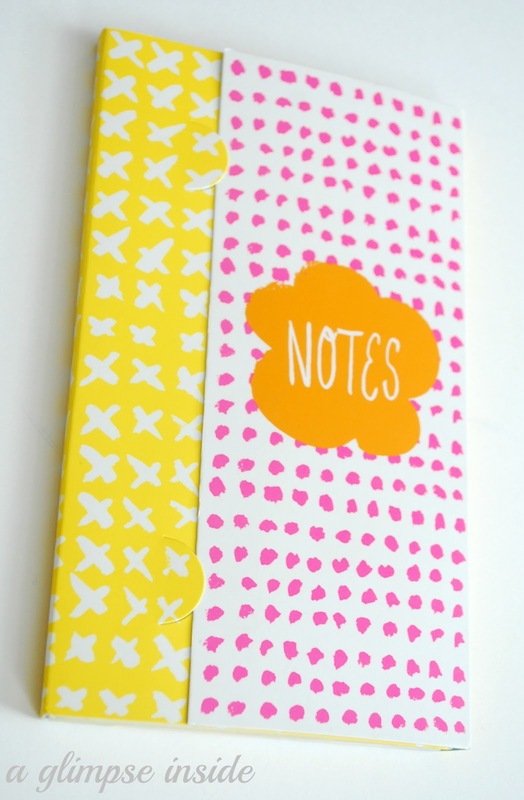 I especially like the little notebook, it looks really useful for me! My favorite thing about spring is that I get to look forward to planting my garden! HELLO! MY FAVORITE SPRING FLOWERS ARE THE WOODLAND VIOLETS! Oh I love how springy your give away looks! Thanks for the chance to win something great! I love how spring smells. The smell of rain and new flowers, grass, trees... new life growing all around you. My favorite thing about spring are all of the birds and animals that you get to see. I love being able to wear skirts and dresses. I love seeing all the birds come back--that has to be my favorite! I love breaking out the t-shirts and the flip flops with my jeans!!! I also love that it is baseball season! My favorite part about spring is not having to wear a winter coat when I take my boy out to play! I love being able to go outside! I live in a basement apartment and it makes me happy when the snow melts and I can play with my little guys in the sun! My Favoritething about spring is the smell of the air! You can smell the sweet smells all the trees and flowers! Thank you so much!! My favorite thing about spring is the sunshine, everything turning green, and the anticipation of summer. And flip flops! I love spring because this is the time where I can plant flowers, open my windows, and feel a nice, cool breeze :) Thank you for the giveaway! My favorite thing about spring is that it's simply warmer. After a couple of months bundled down, it makes for moving much more comfortably! We live in FL so Spring is short-lived for us before it starts to melt us but I love it because the weather is so beautiful while spring it here. I love going outside to play in the part across the street and we love picnics. Spring is my favorite season! Love the warm, but not too warm, weather, love the spring flowers, and love the longer days! My favorite thing about spring is the colorful bulbs popping out. Sunshine and all the budding blooms. Sunshine and all the budding flowers. The weather! Love pulling out my skirts and dresses. It's not winter and it's not summer!! I love the flowers!! They're so pretty!! Its the end of winter and beginning of pastels! I can wear jeans or shorts and still be happy! The smell of fresh grass...that is e greatest smell of spring! I love to hear the birds chirping. You always know Spring is hear when you can here them. Green! I love when everything turns a lively green!! And the sunshine..the sun makes me happy just thinking about it! I love all of the pretty pastel colors! Opening the windows is by far my favorite part of spring! Thanks for hosting & have a great week! My favorite thing about Spring is seeing all the beautiful blooming trees. i LOVE the bulb flowers poking up and giving me pretty things to look at! Playing outside with my boys! My favorite thing is all the beautiful color! The weather! I love the warm weather. I also enjoy that because it is warm enough I can start planting flowers and veggies. Such a fun basket! 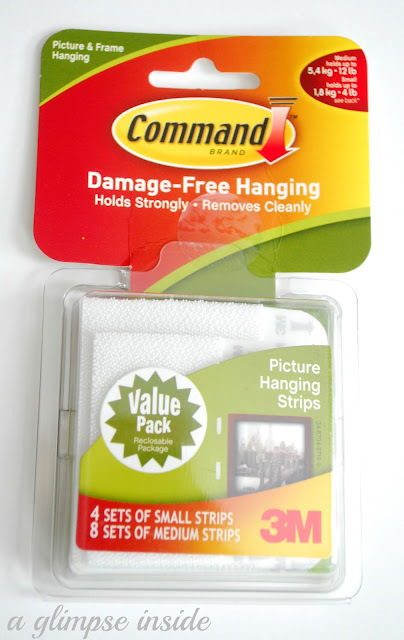 Love the gift card, command strips and nail polish. The basket is cute too! My favorite thing about spring is that we get to do fun things in the weekend. Like visit the zoo or the park. My son loves it! My favorite thing about spring .... is almost everything. The weather, the flowers, the pretty clothes and sandals, I love it all! Everything is gorgeous especially that lovely red basket. Thanks for the giveaway. Love the different colors of green as the trees start budding. The Sunshine! It makes me come alive again after winter! My favorite spring things is flowers and Easter. Thanks for the giveaway. My favorite thing about Spring is the warmer weather (after a cold harsh Winter). i love being able to go outside with the kids! Oh the colours! Loving this basket! I like the sunshine without it being too hot yet. Green is my favorite color, so I love all the freshly growing green things. Thanks. My favorite thing about spring is that the days are getting longer. More sunlight!!! My favorite thing about spring is that in my area, the dafodills around my house start to bloom just in time for my birthday! I love being able to plant flowers and my garden. Thanks for the giveaway. Watching the flowers bud !! And feeling the sunshine! I love the flowers blooming and the yard greening Up makes me SmIlE!!!!! That basket and eggs! Thank you! i love those first few days of Spring when everything smells fresh, flowers are starting to bloom, and the birds are singing! oh, and flip flops - i love being able to wear flip flops again! I love flowers in spring! The mountain bluebirds coming back and my bulbs coming up. It is my first year for Daffodils and I'm excited. my favorite thing about spring is that the weather is usually pretty nice. I don't like the hot heat of the summer, so spring is nice with a lovely breeze. 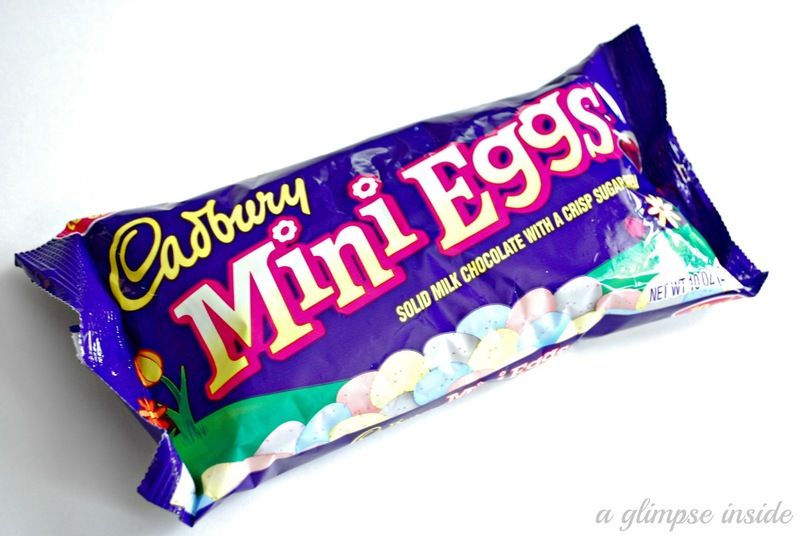 Mini Cadbury eggs are the BEST Easter candy ever! 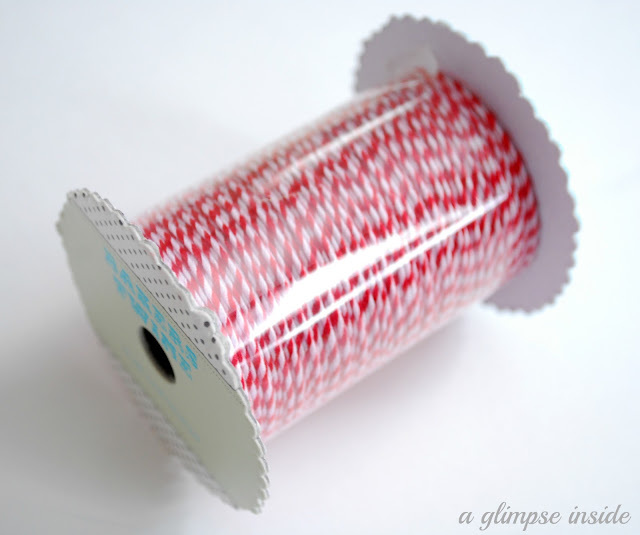 And that twine looks so fun! Oops, I forgot to say what my favorite thing about spring is: the smell of orange blossoms all around the valley! So pleasant! My favorite thing about spring are the sounds of birds singing early in the morning. What a wonderful prize package you assembled! I love the weather! I wish I could find a place in the world that has spring-like weather all year long. The baby apricots on my tree are getting me excited! The bright colors of the flowers and leaves! Sunshine after a long cloudy winter! Wearing sandals and seeing all the flowers blooming. Thanks for the give away. I love all of the blooming flowers. Makes me so happy. Getting outside to work on projects. I love the warmer days and the new flowers poking up! I love the cherry blossoms and the flowers. All the colors we've been deprived of allll winter!! I love the warmth and the beautiful flowers. Of course, the warm weather! Flowers! I like to watch my yard burst into bloom! Seeing more of the sun! I love the fresh, new blooming flowers in spring - tulips, hyacinths, lilies... so beautiful! I love that the kids can play outside again! I love the way spring smells! Fresh, green, floral....it's so refreshing! 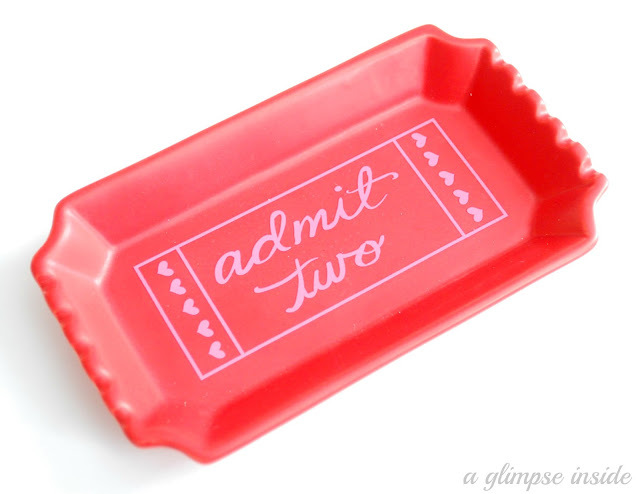 Sweet little giveaway! Thx for the op to win. It's time for more color and warmth in our lives! I love the new growth, flowers, trees, awakened from a winter sleep(even in CA). Thanks for the giveaway. More sunshine, daylight savings time! My favorite thing about spring is opening the windows in my house to let in the warm sun and fresh air! My favorite thing about spring is being able to open the windows and let the fresh air come into the house. Out with the stale ol' winter air and in with the new! The sunshine and park days! I think we might be twins, by the way. What you put in your basket is all of MY favorite things!! I love my camellia bushes, daffodils, fruit trees and primroses blooming. Love the peas coming up. I love the flowers and the warmer weather. My favorite things about Spring are the flowers blooming and birds chirping. I love the warmer fresh air and beautiful spring flowers....oh and the afternoon thunderstorms (not the ones that produce tornados, but the ones with just thunder)! I love the new life that comes with Spring. The flowers blossoming, the green grass, and those warm, sunny days! It's purely refreshing after a dreary winter. Watching all my bulbs peek up out of the ground, so I can stare at them, puzzled, and say, "I don't remember planting that there." EVERY YEAR! LOL! My Favorite thing about spring is flip flops!!! Being able to sit outside and read and garden! My favorite things about spring are finally being able to GO OUTSIDE, planting a garden, and the first time I get to cut the grass and smell that wonderful smell. I love blooming bulbs and flowering trees and that summer is just around the corner! My favorite thing about spring is being able to open up all my windows, pack away all the winter things, and replenish my Vitamin D.
I love when the trees start to bloom! My favorite thing about Spring: all the beautiful, vibrant colors - the flowers, clothes, etc.